Glengarry.....how and wear to attach a badge? Thread: Glengarry.....how and wear to attach a badge? Picked this Glengarry up from an Aberdeen store, thought i'd wear it for remembrance Sunday as two of my great grandparents were in Scottish regiments. 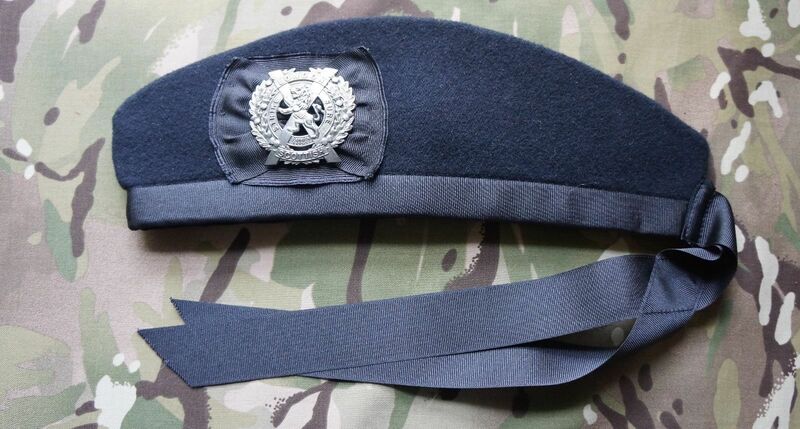 I had wondered about attaching a cap badge and or where you attach them? I do have two badges KOSB & A&SH but as they're in photo frames with ww1 medals seems a hassle to mess on taking one of them out of their respective frames so I may just use my crest badge but again thinking about how its attached. Any good photo examples? Last edited by TenorClef; 31st October 18 at 10:53 AM. 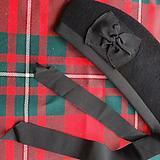 Look at this picture on the USA Kilts web site. 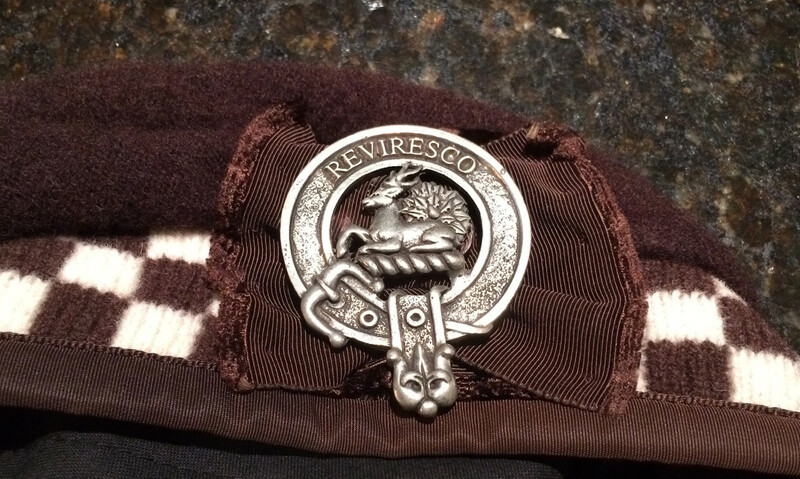 If your going to use a clan badge with a brooch type pin just pin it to the cockade ribbon. If you're going to use a military badge with lugs and cotter pin you will probably need to punch holes right through. Last edited by Bruce Scott; 1st November 18 at 04:29 PM. 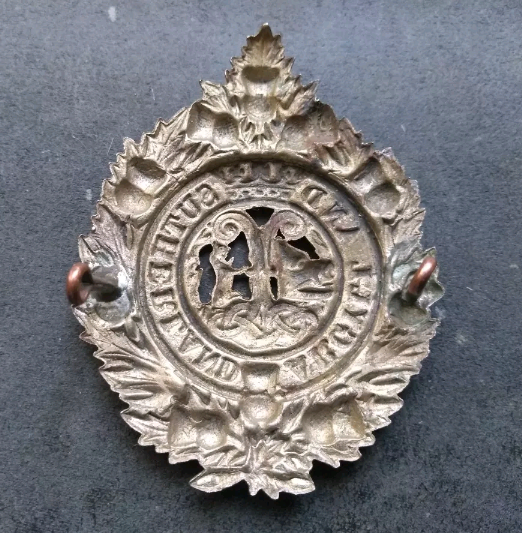 Thanks chaps so i'm going to assume that a GG has prepunched holes to allow lug style badges with pin fittings or if not do you have to make these yourself? Sounds pretty invasive if you have to do it yourself. 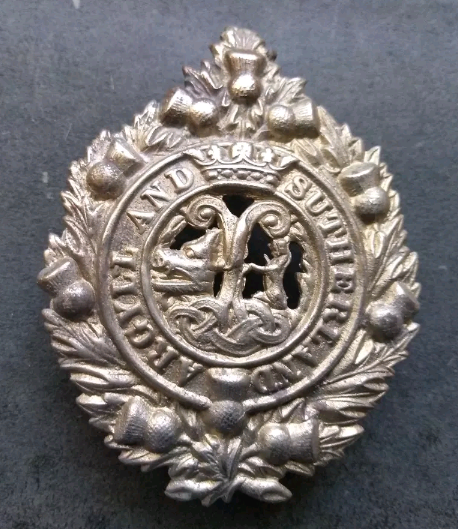 Simple enough if your badge already has a pin and lock mechanism but I know the old ww1 badges like the Argylls and King's Scottish Borderers are lug style fittings. I mounted a lugged badge on a glangarry by poking two holes through all layers of fabric with a large diameter awl. It may sound a bit drastic but once it's on it's on, looks fine and I have no intention of taking it off . 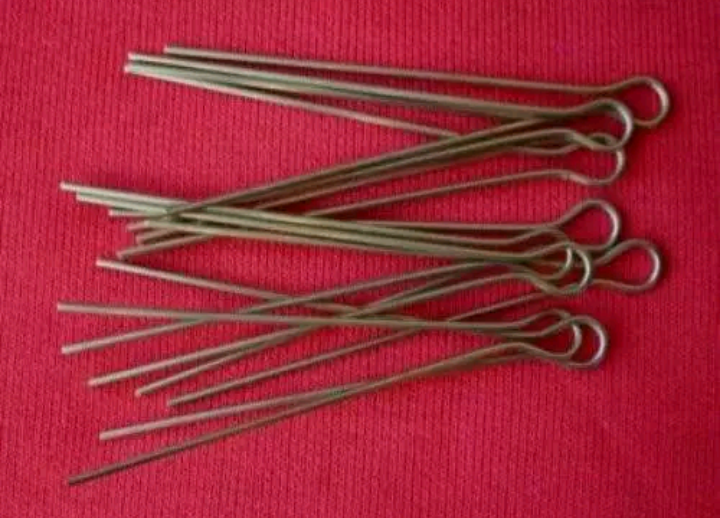 Had to order some of these too to attach to reverse of badge lugs. 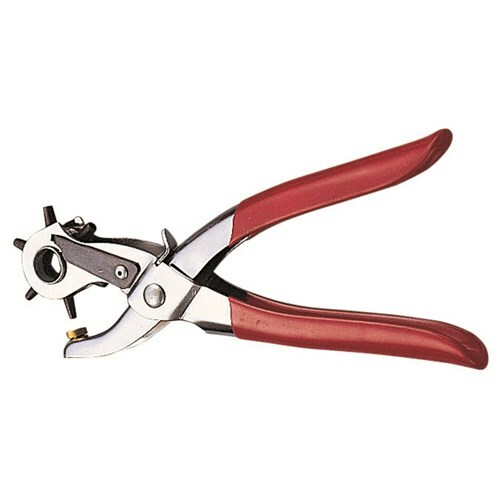 The punch would be removing material, I would favour using an awl and gently separating the fibres. I also recommend testing the effect before the day to see if the fabric will take the weight without slumping as some badges are quite hefty. You might need to add a rectangle of something more rigid to help the ribbon - I would cut out a piece of leather sturdy enough for the job - having that sort of thing to hand, but if nothing else then a couple of layers of card, in best 'Blue Peter' tradition would be better than trying to deal with a badge drooping or swaying around.